Your Facebook page should strengthen existing relationships, and also forge new ones. To do this, you need to perfect the timing and composition of posting original content, and learn how to best cater to the needs of each market segment. 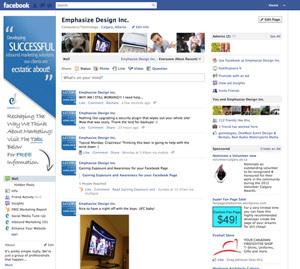 You will need to closely monitor your Facebook page to understand what your fans want. The older Facebook demographic is more interested in using Facebook for themselves. Put like or recommend buttons at the top of the blog article. Community will build up a reputation for the article by “liking” the content. Post articles on the weekend.